Vintage Fenton? 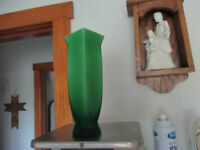 Teal Green Stretch Glass 9" Vase Footed Flower Base Crown Rim ! 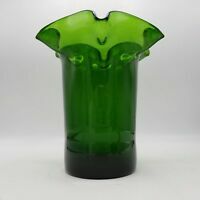 Pair of 1950's Modern Green Vases w/ Sascha Brastoff Style Dancers - Retro 13.5"
Elegant GLASS FLUTED FOOTED HEAVY VASE 7"